After completing his Bachelor of Science at Nankai University, China, and his Masters of Science at Tulane University, New Orleans, Dr. Zhou earned his PhD in Molecular Genetics at the State University of New York, followed by his medical degree at the University of Toronto. He completed his residency training specializing in dermatology at the University of British Columbia. Dr. Zhou is a Professor in the Department of Dermatology and Skin Science, University of British Columbia. He is the Director of the Chieng Genomics Centre and Laboratory of Predictive Medicine and Therapeutics in the Vancouver Coastal Health Research Institute. He is also on active staff at the BC Cancer Agency. Dr. Zhou specialized in Medical Dermatology, Skin Oncology and Laser Skin Surgery in his clinical practice. He is currently the Co-director of the Vancouver General Hospital Psoriasis and Phototherapy Clinic. Dr. Zhou is active in scientific research on melanoma, skin pigmentation, rosacea, hyperhidrosis and psoriasis. He has been the principal investigator in over 20 research projects, and supervised graduate students and post-doctoral fellows at the University of British Columbia. He has three patents being files for diagnosis and treatment of skin diseases. He has been the principal investigator in over 20 research projects, and is a supervisor for both the Experimental Medicine Graduate Program and the Clinical Dermatology Fellowship at the University of British Columbia. 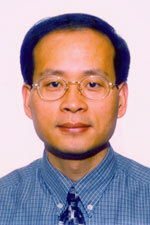 Dr. Zhou has many journal publications that he has co-authored, has lectured at universities around the world. He has three patents being filed for the diagnosis and treatment of skin diseases.